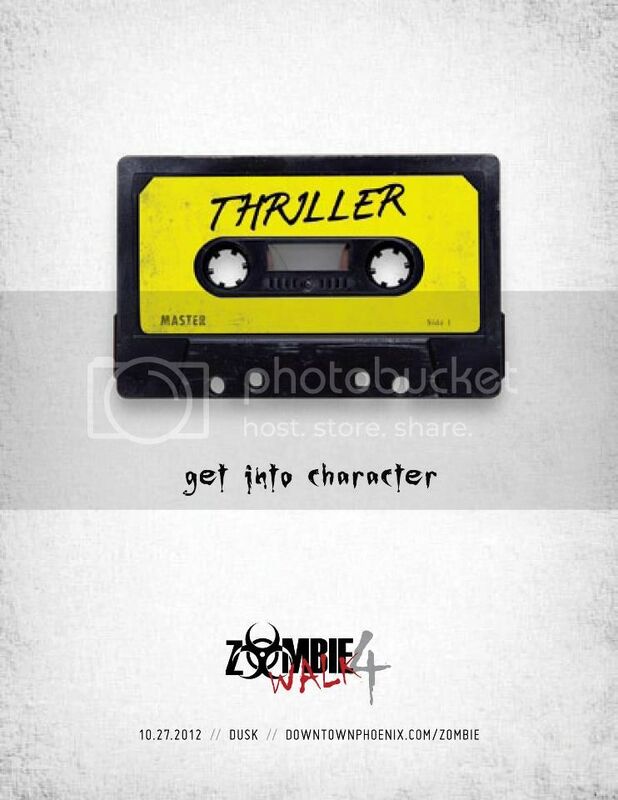 Downtown Phoenix Zombie Walk 4 - Saturday October 27, 2012 - Zombiewalk.com - Your source for all Zombie Walk and Zombie Flash Mob planning! Limp and moan your way to Heritage & Science Park in Downtown Phoenix for Zombie Walk 4 and Hallowe’en Festival spectacular happening Saturday, Oct. 27 from 2:00 – 11:00 p.m.
•Outdoor Screening of "Night of the Living Dead"
Over 5,000 zombies will line up at dusk for a slow-paced shuffle through Downtown Phoenix. After the walk concludes zombies, victims and bystanders will return to the park for more music and fun, including the announcement of the Most Valuable Zombie contest winners. Entry to the walk will be a canned food donation for St.Mary's Food Bank. 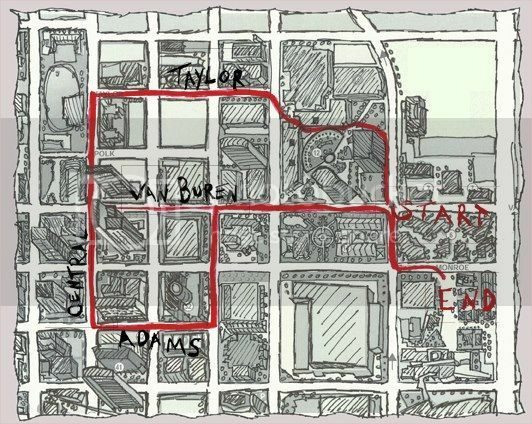 The finalized route for this year's walk. There will be a shorter option for folks to head back to Heritage Square Park via Van Buren. Here are two of the teaser posters for the walk. These are being placed around downtown Phoenix. 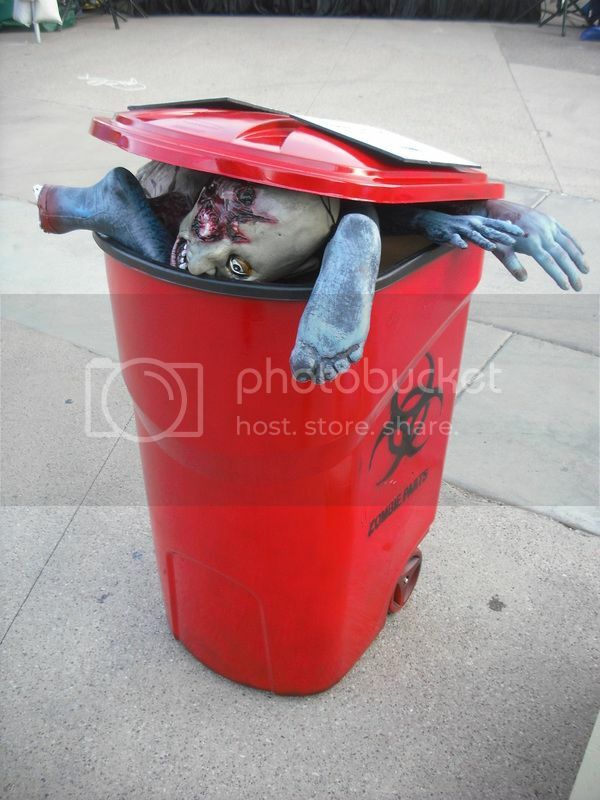 Looks for these zombie body part bins around Phoenix to promote the walk. 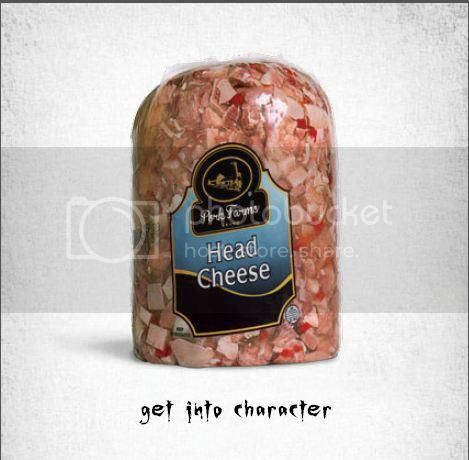 It’s time to get into character. Zombie Walk 4 is rolling toward Downtown Phoenix like an undead haboob of 10,000 arm munchers – and it isn’t just for big zombies anymore. Bring your little ghouls, goblins and, well, zombies to Arizona Science Center’s Little Zombie Zone Saturday, Oct. 27 from 2- 5:30 p.m. in Heritage and Science Park for some seriously scary science fun! Make Bloody Handprints all while learning about bases and acids, study the effects of vibration and frequency as you trap ghosts inside a Screaming Balloon and watch simple liquids turn into a slimy bag of snot right before your eyes! Want more? Our resident zombie scientists will lead you through spooky dissections that reveal the inner workings of (cow’s) eyes and bones. This family-friendly event is FREE to attend and a canned food donation to St. Mary’s Food Bank gets you a date with a volunteer makeup artist. And for the full-grown zombies, the fun continues well into the night with live bands, a beer garden, food, craft and makeup vendors and, of course, the largest zombie herd west of New Orleans shuffling through the streets of Downtown Phoenix at dusk. It’s not like you really need a reason to act like an limping, brain-hungry menace while covered in blood, but just in case you feel the need to justify your attendance at Zombie Walk 4 on October 27 we’ve put together a list of reasons. Very, very good reasons. Imagine: you’re covered in makeup, your clothes are bloodstained, you feel like you’ve been dead for hundreds of years and, oh wait, what’s this? Cold beer from Four Peaks? What a perfect day. 9. Because Alice Cooper is doing it. 8. March with a Zombie hoard – right down Central Avenue. 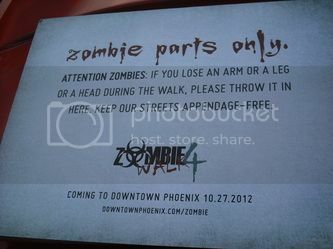 Ever wanted to stop traffic on Central Avenue with a 10,000 strong zombie hoard? Us too. So this year, we are. Be there at dusk. 7. Great deals and free parking for zombies. If you’re dressed like a zombie (and you are) you’ll get free parking at the CityScape garages all day. Bonus: Copper Blues is hosting an UN-Dead Party and those dressed as a zombie get 15% off their drink tab. Blue Hound is selling their Stumblebum’s Downfall cocktail (Scarlet Ibis Rum, Wrey and Nephew Overproof Rum, grapefruit, lime, passion fruit and cinnamon) for $5. The Strand is offering happy hour from 2 p.m. to close and Gypsy and Lucky Strike Lanes will be zombie-friendly hotspots. 6. You get to dress like a zombie. And, instead of judgment you could win a prize. Laser tag with zombies. No, we aren’t making this up. 4. Because if you aren’t a zombie now you’ll be one soon enough. 3. Arizona Science Center Little Zombie Zone. Little zombies are going to have some seriously scary fun at this family friendly festival. From learning about acids and bases while making Bloody Handprints to improv classes on how to walk like a zombie, the Little Zombie Zone will keep those adorable little flesh eaters busy and content right up until the walk starts. 2. Because zombies are people too. 1. St. Mary’s Food Banks needs our help. Zombies may be undead, but they still care. With shelves running low and food needs climbing, St. Mary’s is in desperate need of our help. Last year, zombies donated 2 tons of food – this year we’re aiming to double that. Bonus: A canned food donation gets you a few minutes with a makeup artist to help with your zombie transformation. When: October 27, 2012 from 2 – 11 p.m. Walk is at dusk. The walk is tomorrow everyone! Almost a year of planning comes together.